Average car insurance premiums could increase by up to £75 a year according to industry experts, with young drivers and older motorists hit hardest. Insurance premiums could rise by an average of £75 after the Government changed the way personal injury pay outs are calculated. Elizabeth Truss, independent Lord Chancellor, is amending the Discount Rate because the law clearly states that claimants must be treated as risk averse investors. Today’s decision is expected to cost the Department of Health £1 billion in personal injury claims. When car accident victims suffer life-changing injuries, which stop them from working, they are sometimes awarded lump sum compensation payments. The amount they receive is intended to reflect the interest they could earn by investing it over many years. The calculation that’s used to finalise the compensation amount is called the Discount Rate. The Discount Rate has been lowered from 2.5 per cent to -0.75 per cent to ensure that the compensation received by the victims is enough to support them over a long period of time, often the rest of their life. This has been changed in accordance with increased inflation rates, meaning that the lump sum received by the victim is now higher because they cannot be expected to earn the same amount of interest as they had previously. When will the new Discount Rate come into place? The new Discount Rate will come into effect on 20 March 2017, following amendments to current legislation. This will be the first change made to the Discount Rate since 2001. The lowering of the Discount Rate will force insurance companies to pay out more in compensation, which will then be passed on to motorists in the form of higher premiums for millions of drivers across the UK. 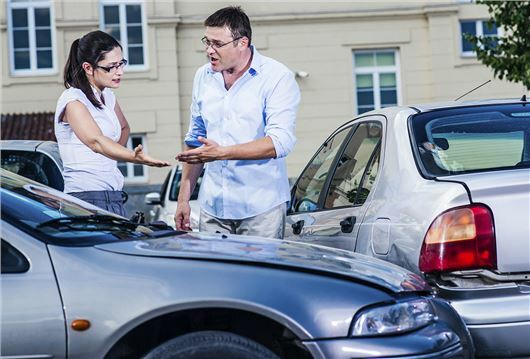 Experts anticipate an increase of £50 - £75 on an average comprehensive motor insurance policy. Mohammad Khan, UK general insurance leader at accountancy firm PwC, estimates “Up to £1000 for younger drivers and a rise of up to £300 for older drivers”. The NHS bill could rise by £1 billion where personal injury claims are made, according to the Treasury. So they don't change the rate for 16 years, then a huge amount. It beggars belief. Don't they realise that the returns on such investments will change over the decades, not be the same all the time? Surely he rate should be reviewed and the average return over a (say) 50 year period should be taken into account, weighted towards the most recent rates of return. My guess would be that this reflects a rate nearer to 1.5 - 2% at present at worst. Returns won't be on the floor forever (hopefully). Totally confused and annoyed. Why should I have to pay more when over the years I have already been forced to pay well in excesss of £50,000 in car insurance over the 42 years of private motoring? I have never made a claim either. I think the insurance companies along with the goverenment think us oldies are wealthy enough to fleece further.